A bored Shaun dresses up as the Farmer to entertain the flock. The flock hijack a road line-painting machine. A leak in the barn roof forces the flock to relocate to the pig sty for the night. It's bath time for a reluctant Timmy. The Farmer is attempting to learn how to ballroom dance. The Farmer discovers his old golf. The Farmer is preparing for a date! The sheep discover a set of bagpipes on the rubbish dump. Timmy accidentally eats a tomato grown with "Miracle-Grow' fertilizer. Whilst preparing for bed, the Farmer manages to lock himself out of the house. A wildlife film inspires Pidsley the cat to play a prank on the flock. 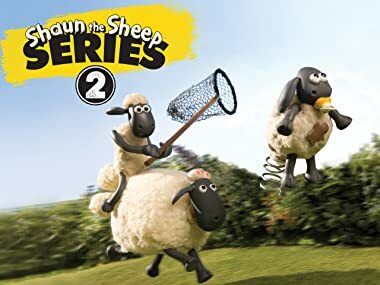 Shaun accidentally breaks the Farmer's glasses. The Farmer gives Bitzer a horrible new hat. A cute mouse appears in the farmhouse and terrorises the Farmer. The Farmer is trying to impress his new date. The Farmer has set up a stall by the side of the road. The Farmer is throwing a fancy-dress house party for his birthday. Two bungling alien scientists transport Pidsley and Shaun aboard their flying saucer. Bitzer's kennel is accidentally destroyed. A bedraggled new sheep lands amongst the flock. Swashbuckling Sheep and Piggy Piracy! Shaun and friends in a hot air ballooning escapade. Don't count your chickens before they're snatched. Bitzer tries to rule the farm with an iron fist. The Farmer tries his hand at sculpting using Bitzer as his muse. A swamp monster marauds the farm. Or does it? The Farmer turns the farm into a wildfowl park. Every dog has his day, but this isn't Bitzer's. Wacky Races on the farm.